Digitization has entirely transformed the way people comprehend an idea. Traditional books have now almost stepped aside for enhanced digital versions. Now what are these enhanced versions? In the simplest of words, enhanced eBooks are normally embedded with several interesting features such as interactivity and media. Enhancements earlier encountered a lot of limitations and they were confined only to a small section of applications and devices as the progress in this concerned domain was inconsistent. But these days, you can find a lot of service providers who are adept at creating enhanced eBooks and EPUB3 formatting. Before anything else, you must understand what is miscomprehended as enhancements. There are a lot of people who are not exactly aware of the concept. However, another fact is that the way of defining enhanced electronic versions is not the same for all digital conversion services providers. Certain eBook conversion companies perceive embedded fonts, endnotes and subject indexes as enhancements while for others these are the very basic features. Electronic books should never be the mere digital versions for printed material. Therefore, basic properties like linking within and to the outside of the books as well as attractive designs are the elementary features every electronic version must possess. Enhancement, on the other hand, are additional features that are capable of making digital versions more interactive, informative and interesting. One of the most popular enhancements used in case of eBooks nowadays is embedded audio & video. In case if you want to incorporate media content related to the ideas of your material, you may embed them in the eBooks files which can be accessed by readers. But the fact that embedded media is not accessible on all available reading systems in the market should be considered. Let us have a detailed analysis before you plan any sorts of animation for eBooks. These devices are exceptional in supporting embedded media. 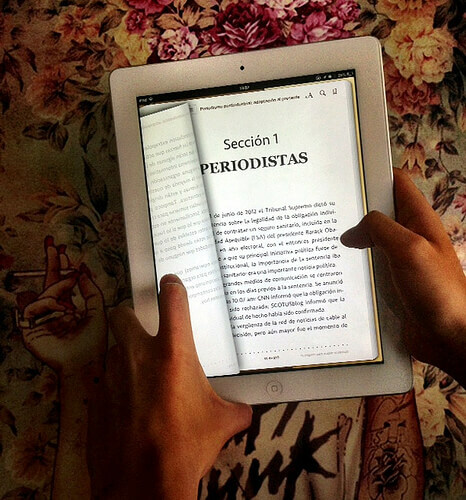 Whether it’s a fixed layout or reflowable ePub that you are creating, these e-readers permit embedding of media file into ePub. When it comes to B&N, embedded media enjoys only a restricted support. Nook tablet applications and publishers having direct connection with Barnes and Noble or the ones using distributors only entertain embedded media. Support from Amazon is very restricted for embedded media. Media works only in case if it is incorporated in Mobipocket 7 old format and is supported only in Kindle iOS App or advanced Fire devices. KF8 formatting is not supported and hence the way your book looks will be adversely impacted. When it’s about media embedding, you should think of how the content is going to affect the overall eBook message. Limitations in regard of devices supporting them and platform you can use to sell the eBooks can restrict the sales. In addition to the said, eBooks having embedded media may not be preferred among readers who don’t want to download large eBook files. Hence it is recommended to place media files in the site rather than placing them in the eBook. By this sales limitations are alleviated and at the same time, anyone can get access to the media via their browsers when you give links. It is always advisable to use short URLs. In case if you are planning to create animated children’s eBooks with audio narration, they can be incorporated as media overlay for both Nook kids and ePub 3 formats. For the latter, the code surrounding every word will have a marker placed in it. The marker is knotted to both start as well as end time stamps. Thus readers can play specific audio file portion while highlighting or altering the color of word font. There are in fact countless animation techniques for eBooks. To know more in detail or to discuss about any requirements you have, reach us anytime.